FOX’s ratings juggernaut, American Idol, is heading into its ninth season. Almost from the beginning, people have been trying to figure out what makes the show so popular. Many believe that a key element is the judges with their very different personalities. When Paula Abdul announced that she was leaving last year, some believed that her absence would cause viewership to tumble. Most don’t think it will have much of an impact — especially with popular Ellen DeGeneres set to take her place. Most agree that Simon Cowell would be a much bigger loss and would potentially be a showkiller. We’ll get to see if that theory holds up because FOX and Cowell have now announced that this will be his last season on the show. The cranky judge will be leaving Idol to launch an American version of his popular UK talent series, The X Factor. The British version is similar to Idol except that participants can be 14 years and up. Finalists are split into groups and mentored by one of the judges. How much will Cowell's departure hurt Idol? Cowell said that FOX execs tried to find a way so that he could do both Idol and X Factor but, because he’s also committed to the UK’s X Factor and Britain’s Got Talent, it just wasn’t possible. It’s possible that Cowell’s fellow judges from the British X Factor, Louis Walsh and Cheryl Cole, may be invited to join him in the states. There’s also a strong possibility that Abdul may join the team as well. Idol host Ryan Seacrest and judges Randy Jackson and Kara DioGuardi were publicly supportive of Cowell’s move. DeGeneres joked, “He announced he’s leaving on my first day. I’m trying not to take it personally. He wanted a change and I wish him all the luck in the world hosting The Tonight Show. 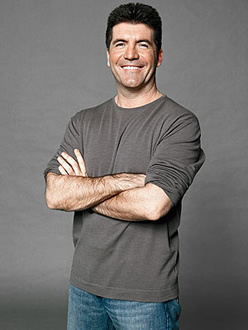 All joking aside, the question remains how much of an impact will Cowell’s departure have on Idol? While the reality show is still very popular, the ratings have dropped over the past couple years. Will this latest shakeup cause the audience to erode further and faster? What do you think? Will Cowell leaving hurt or even kill American Idol? Will X Factor succeed? Can they both succeed or will it be too much? OSCAR THE GROUCH for AMERICAN IDOL JUDGE Campaign. I will miss Simon he was the one judge that knew that this was show of elimination unlike Paula (who will not be missed). I certainly hope it can survive. It will air at different times so it is possible that it would survive. I enjoyed Simon on the show but I will no longer watch anyway with DeGeneres on it. Of course what happened to her last night? @Al Pryor: She’s not part of the early auditions, likely because of her talk show schedule. She’ll join the show when it goes live. I think Simon leaving will be very detrimental to the show. I also think Kara needs to be gone! I can’t stand to watch it because of her. She brings down the show….go Kara, stay Simon! The first season of American Idol was great and then…just not that interesting anymore. Quite frankly, I think that when Simon leaves this show will go under. Honestly, I think this show has barely been treading water for the past few seasons. It’s not that interesting anymore, and we never see much out of the “Idol” winners. It’s starting to become the same exact thing every season and I think that it’s about time they call it quits. This show can’t get off the air fast enough for my liking. Simon leaving will be the Luke Skywalker that will take down the Death Star that is American Idol.